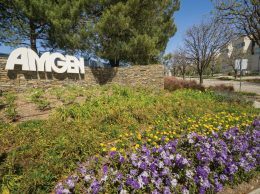 Thousand Oaks-based biotech giant Amgen said it will buy the rights to develop and commercialize a cancer immunotherapy treatment Aug. 2. Under the agreement, Amgen will pay Princeton, N.J.-based Advaxis $40 million and buy $25 million worth of Advaxis common stock for the rights to develop and commercialize a preclinical cancer immunotherapy, which is designed to activate a patient’s immune system to respond to unique mutations contained in individual patients’ tumors. Advaxis will lead clinical development of the drug and retain manufacturing rights. Amgen will pay Advaxis up to $475 million in development, regulatory and sales milestone payments. Amgen could also pay Advaxis royalty payments on sales. 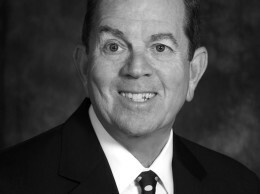 “With Amgen’s resources, worldwide reach we are positioned to accelerate the clinical development program for ADXS-NEO to improve the lives of those who suffer from cancer,” said Daniel J. O’Connor, president and chief executive officer at Advaxis in a news release. Advaxis stock jumped about 30 percent in pre-market trading and finished the day up 2.61 percent from its opening price to $11.08. Amgen shares finished down a penny to $174.15.